Activation of programmed death-1 (PD-1) and cytotoxic T-lymphocyte antigen-4 (CTLA-4) on T cells leads to T cell exhaustion and ultimately facilitates tumor progression. Recent success of using immune cell checkpoint inhibitors offers a great promise to treat various cancers, including bladder cancer. However, the expression pattern and therapeutic value of PD-1 and CTLA-4 in peripheral blood T cells remain largely unexplored. 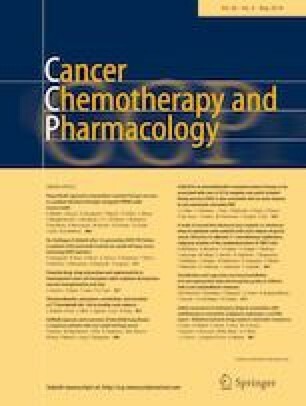 In this study, we presume that disruption of the potential dysregulated checkpoint molecules in peripheral blood T cells may improve the anti-tumor efficacy of cytotoxic T cells in bladder cancer. We showed that both PD-1 and CTLA-4 expression were specifically elevated on CD8 + T cells but not CD4 + T cells in peripheral blood of patients with bladder cancer compared with that in healthy donors. Notably, CTLA-4 expression was significantly higher in muscle-invasive bladder cancer (MIBC) and correlated with tumor size. By blocking CTLA-4 with anti-CTLA-4 antibody and CRISPR-Cas9-mediated CTLA-4 disruption, we revealed that CTLA-4-disrupted CTLs had enhanced cellular immune response and superior cytotoxicity to the CD80/CD86-positive bladder cancer cells in vitro. Moreover, the CTLA-4-disrupted CTLs exhibited a pronounced anti-tumor effect in vivo as demonstrated by prophylactic assay and therapeutic assay in the subcutaneous xenograft model. Collectively, our findings confirm improved therapeutic efficacy of CTLA-4-disrupted CTLs and provides the potential strategy for targeting immune checkpoints to enhance the promising immunotherapy.